Add some leather, a dash of a cushioned insole, a splash of impact zone padding, and a heaping helping of MaxTrax® slip resistant outsole and we’re on our way to creating our very own slip resistant shoe! So this recipe might not be making it into your kitchen cookbook any time soon, but it’s still important to know what exactly goes into constructing each pair of our safe and comfortable slip resistant shoes. Get the notebooks ready, because we’re about to take you through the slip resistant shoe recipe. 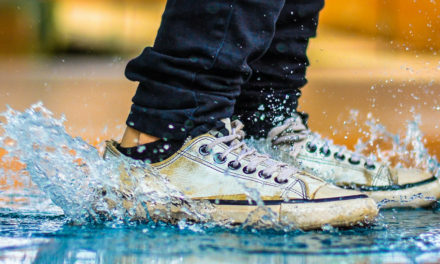 Obviously, there are a few factors that go into making each slip resistant shoe. Material, construction, cushioning and support should all be considered. The “upper” of a shoe is the material that covers the toes, as well as the back, sides, and top of the foot. Uppers can be made of one or more materials, including leather, action leather, suede, and mesh. Did we lose you already? Allow us to explain. Full grain leather is generally found on dress shoes, and it presents a more “finished” appearance. It’s also easy to clean and very durable. So for those of you who didn’t even know that shoes are supposed to be cleaned, this might be for you. Action leather is found on athletic or casual shoes (hence the whole “action” part of the name. We know…brilliant). This material is more flexible and more breathable than full grain leather. So if you suffer from sweaty and smelly feet, do yourself (and the world) a favor by trying action leather. Mesh/Suede tends to be found as accents on work shoes. Suede offers a pleasing aesthetic quality while mesh affords more breathability for dry feet while on the job. An “insole” is the interior part of the shoe that the foot rests on. This piece has usually been enhanced with extra cushioning in the heel or “impact zone”. Various levels of cushioning are used to make your feet feel as if they’re walking on a cloud. Note: never attempt to walk on an actual cloud. It will end poorly. Cushioned insoles have some padding in the heel, and are generally found in low profile Oxford shoes. Full cushion insoles have cushioning in the heel and impact zone areas, and this is typically found in low profile athletic shoes. 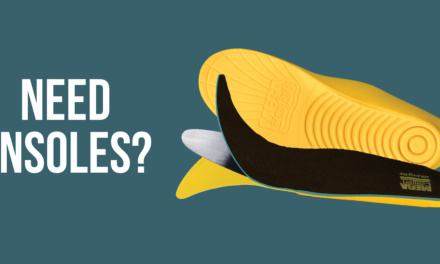 Extra cushion insoles are exactly what they sound like: MAXIMUM CUSHIONING ACTIVATED! This is found mainly in athletic shoes. Lastly, impact zone padding is the extra cushioning at the ball of your foot. Improvements in midsole technology now allow for more cushion, greater arch support and even ergonomic designs to decrease foot, leg and back pain! 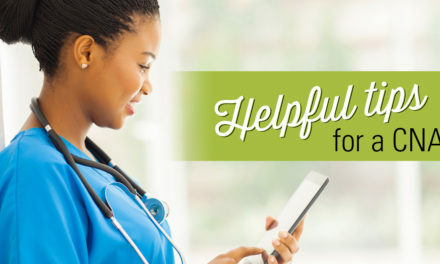 This is especially important for anyone with flat feet or high arches, as not choosing a shoe with the proper midsole could lead to pain at work. And trust us, that’s the last thing you need. We’ve gone through the meat of our recipe, but we can’t forget about dessert! While some overlook the lining of a work shoe when considering comfort, the proper shoe lining is absolutely important. A mesh fabric lining will wick away moisture to maintain a cool, dry shoe interior. A proper lining means more comfort and fewer odors (win and double win). The lining is there to help your feet out, so don’t forget about it! Last but certainly not least… our patented MaxTrax® slip resistant outsole. That’s right folks, we saved the best for last. 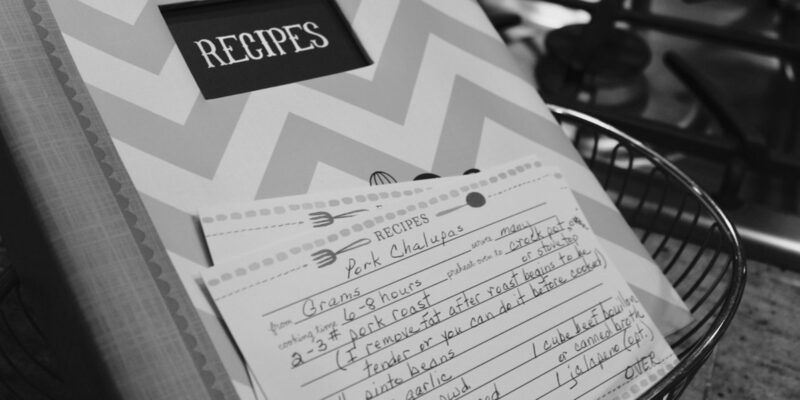 Our MaxTrax® slip resistant outsole is the final ingredient in this recipe for success. The exclusive pattern developed for MaxTrax® is intended to give the outsole the highest amount of surface area possible, while still providing deep grooves arranged to help channel liquids. This specialized groove design allows for an essential self-cleaning feature that keeps the bottom of your shoes cleaner than many other slip resistant work shoes. Using a flexible, soft rubber compound outsole – The MaxTrax® outsole provides more give upon impact, which allows for a reinforced grip and a better hold on the ground. In our independent Brungrabber Mark II slip resistance testing in greasy, high soil, oily/wet, and wet environments, MaxTrax® proved itself to be an icon of slip resistance. MaxTrax® far surpassed the Coefficient of Friction (i.e. the measure of slip resistance) necessary to make a safe step in each test.